The GCC was created to preserve the supremacy of ethnic Arabs. Iran is a majority-Persian country. 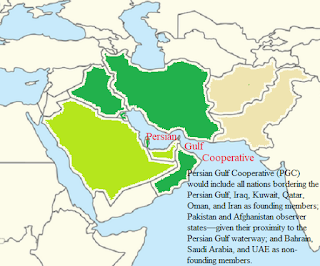 In their pursuit for promoting Arab supremacy, the founders of the GCC intentionally removed the word Persian from the name of the Persian Gulf--the name recognized by the UN and all other international organizations. 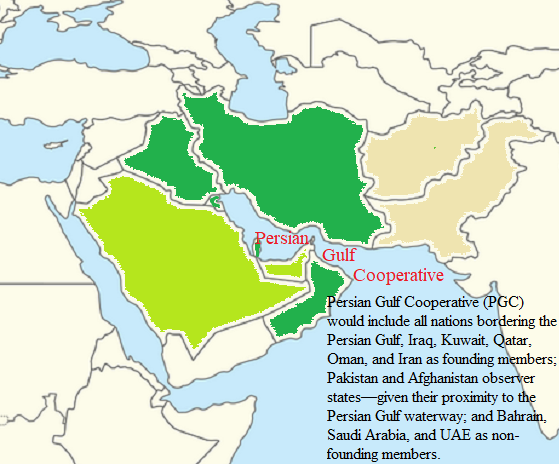 The adjective “Arab” is used to name the Arabian Sea, on which the Persian Gulf opens and Iran has the longest shores along the Gulf than any other country bordering it, justifying the naming of the body of water, the Persian Gulf. Most recently, the failure of the Saudi interventions in Iraq, Syria, and Yemen forced its rulers, again, to seek tighter control over decision making within regional organizations--like the GCC and the Arab League--to protect the clan rule from challenges spurred from neighboring countries. The drive for tighter control ruptured the artificial bond that connected the GCC member states, when Qatar refused to surrender all decision making to Saudi Arabia. While the GCC summit was under way in Kuwait city, the rulers of UAE announced that they created a "committee for military, economic, political, media, and cultural cooperation between UAE and Saudi Arabia.” This announcement is essentially a step towards the creation of an alternative, but much weaker, GCC, which would be limited to Saudi Arabia, UAE, and Bahrain. This alternative is unlikely to bring peace and stability to the region for it is still based on the same irrational fears and self-serving goals of the rulers. 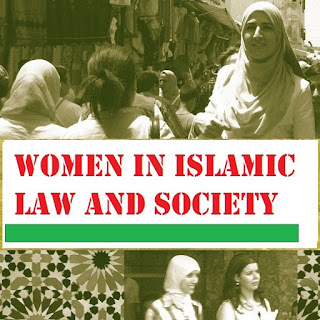 However, its creation may nudge the other members of the GCC to create an alternative--one that is based on inclusion and mutual interest and respect.